"Chimpanzee mothers at Bossou, Guinea carry the mummified remains of their dead infants"
The forests surrounding Bossou, Guinea, are home to a small, semi-isolated chimpanzee community studied for over three decades. 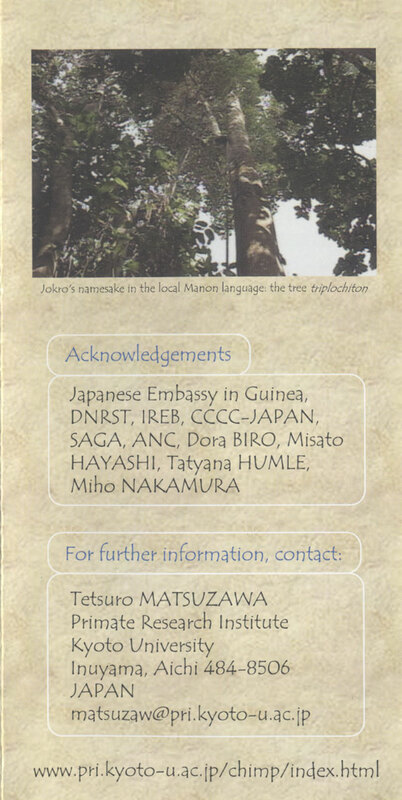 In 1992, Matsuzawa reported the death of a 2.5-year-old chimpanzee (Jokro) at Bossou from a respiratory illness. The infant's mother (Jire) carried the corpse, mummified in the weeks following death, for at least 27 days (see the details in the videos below). In this report we recount two further infant deaths at Bossou, observed over a decade after the original episode but with striking similarities. During the 2003 dry season, a respiratory epidemic broke out at Bossou, claiming the lives of five chimpanzees (reducing their number from 19 to 14). Among the dead were two infants: 1.2-year-old Jimato and 2.6-year-old Veve. The mothers of both infants (Jire and Vuavua) continued to carry their offspring's lifeless bodies for 68 and 19 days after death, respectively. In all three cases, group members' responses to the corpses were highly similar. With only one exception, we never observed a response that could be interpreted as aversion, despite the bodies' intense smell of decay and highly unusual appearance. In general, all members of the community demonstrated high levels of tolerance towards the corpses. The fact that all three documented cases of infant deaths at Bossou were followed by extended carrying of the infants' remains suggests that this behaviour may not be a rare occurrence in this small community, and raises questions about the potential role of observational learning in promoting chimpanzee mothers' prolonged transport of deceased young. Nonetheless we hope that further data from this already threatened community will not be quick in coming.